Tim and Cathy offer a warm welcome to their home and hope you enjoy your stay in the beautiful south lake district town of Windermere. We are the proud owners of this traditional Victorian gentlemen’s residence built in 1897. We hope you will find it comfortable, convenient and welcoming. We feel very fortunate to be able to access beautiful landscapes, scenery and historical sites from our door step. Haisthorpe House is situated in a quiet residential area just a few minutes’ walk from Windermere village centre, offering a wide range of cafes, restaurants, pubs and shops. 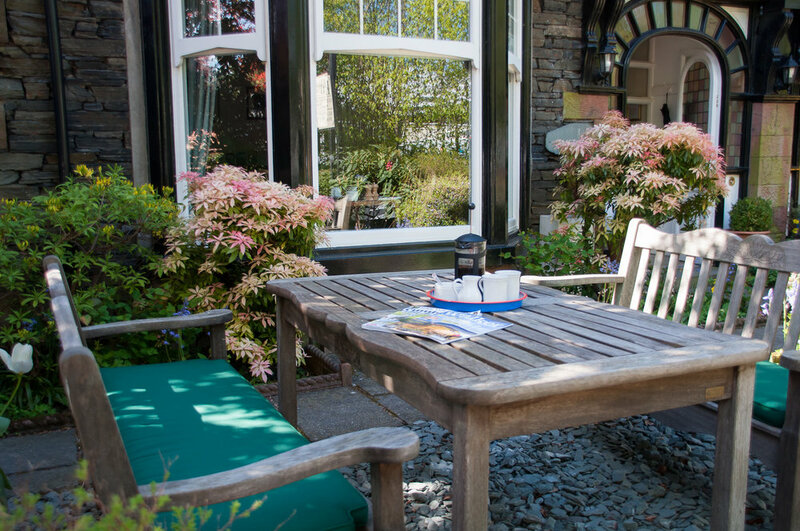 Windermere is located in the gateway to the Cumbrian fells and is an ideal base for touring, cycling, walking holidays, partaking in sporting events and challenges or for simply taking in the picturesque Lake District scenery. A short walk down the hill leads you to the shores of Lake Windermere and the property is not only ideally situated to explore the Lake District but is also within easy reach of Hadrian’s wall and the Yorkshire Dales. We take all our bookings as ‘room only’ with a range of optional breakfasts selected daily allowing our guests choice and flexibility to suit. Breakfast is served at either 8am or 9am in our dining room. Check In is by arrangement, between the times of 2pm - 3pm OR 6pm - 7:30pm. Seating area in the front garden for guest use. We have 3 car parking spaces to the rear of the property and there is on street parking at the front of the house. Haisthorpe House is just a 10 minute walk from Windermere railway station for guests arriving by train. We are able to store a small amount of luggage for the convenience of guests travelling by train. New owners Cathy & Tim have arrived and are ready to welcome guests!